On December 4th, the Supreme Court heared oral arguments in Rubin v. Islamic Republic of Iran. The case involves a question of statutory interpretation, whether 28 U.S.C. § 1610(g), an amendment to the Foreign Sovereign Immunities Act, permits victims of state-sponsored terrorism to collect on non-commercial goods. 28 U.S.C. § 1610(g) allows Americans to sue foreign governments that support terrorism by which they or their family is harmed, an exception to the Foreign Sovereign Immunities Act, which generally bars such suits. In 1997, Hamas, a terrorist group aided by Iran, sent three suicide bombers into a Jerusalem shopping mall, killing 7 people and injuring 200. Eight American victims sued Iran and won a judgement for $423.5 million in damages. When Iran did not pay, the victims tried to seize Iranian artifacts housed at the University of Chicago. The question at hand is whether they should be permitted to under 28 U.S.C. § 1610(g). 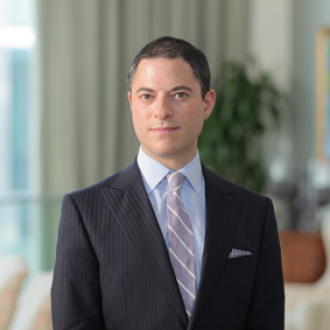 Andrew Grossman will join us to describe the oral argument.